Well people another movie year has come and gone and just like any other year, 2018 brought with it its share of controversies (Bohemian Rhapsody, Green Book), highlights (Avengers: Infinity War), memorable performances (Ethan Hawke), and misfires (Solo: A Star Wars Story). 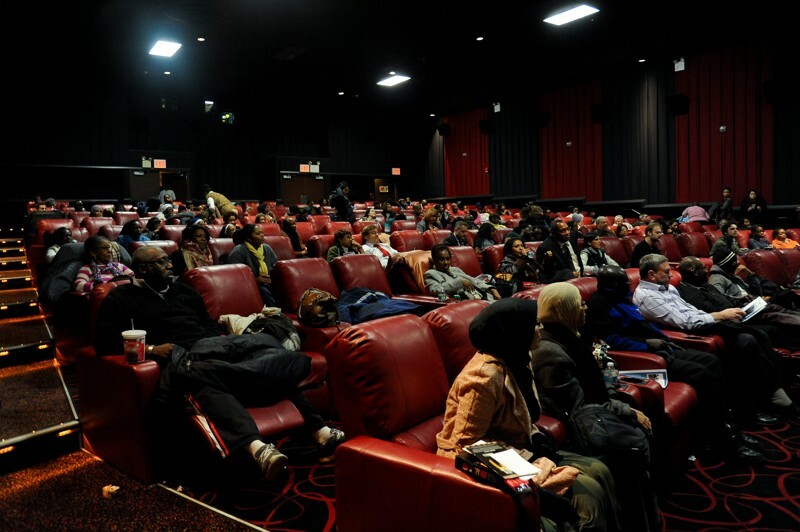 While I didn’t get to see nearly as many movies as I usually do, I nonetheless experienced the gamut, films that thrilled and films that failed miserably. With that said here is my 2018 movie year in review; the best, the worst, and everything in between. This movie had all the promise of being a return to form: strong cast, intriguing premise, and a solid director in Shane Black. I believed that Black (an original cast member from the 1987 film) would provide a new take on the Predator mythos and breathe life into the franchise. Boy I could not have been more wrong. Muddled, sloppy, and dull, The Predator was an exercise in frustration. Boyd Holbrook makes for an uninspired lead, the film is rife with plot holes, and the tack on ending smacks of Hollywood tampering. Shane Black’s The Predator comes off like a parody of the original and rarely entertains. It’s the two-hour equivalent of having your skull and spine ripped out by the titular creature himself. 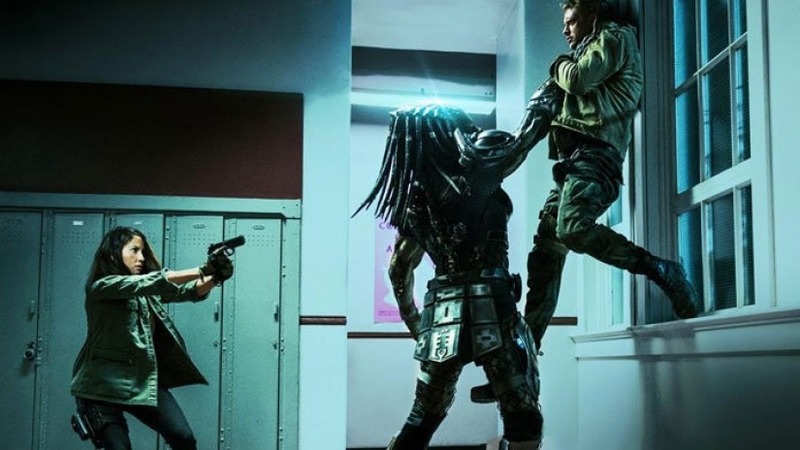 At least The Predator‘s failure at the box office ensures there (hopefully) won’t be a sequel. To be clear I didn’t hate Deadpool 2. It was a serviceable followup to the 2016 film, which was one of my favorites of that year. However, whereas the original’s comedy feels organic and earned, the sequel’s feels forced and contrived. What’s unfortunate is that the forced humor takes away from what was actually a pretty decent plot. I’m a sucker for a good time travel yarn and the inclusion of Josh Brolin as Cable and Zazie Beetz as Domino was some truly inspired casting. However, I couldn’t shake the feeling that Ryan Reynolds, David Leitch and company were just trying too hard. Deadpool 2 is a forgettable sequel and the Once Upon A Deadpool edit didn’t help my opinion on this film either. 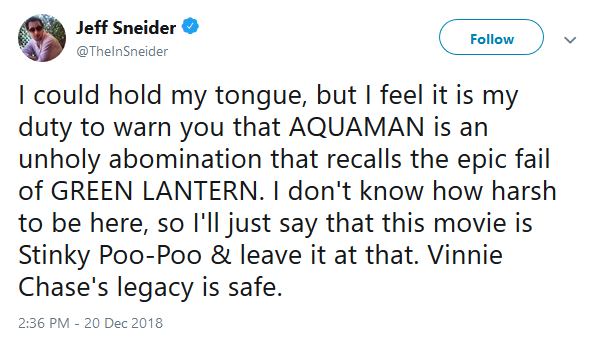 Leaving aside the fact that a critic would use the phrase “Stinky Poo-Poo” in their assessment of a film’s quality, to compare this movie to Green Lantern borders on the ridiculous. 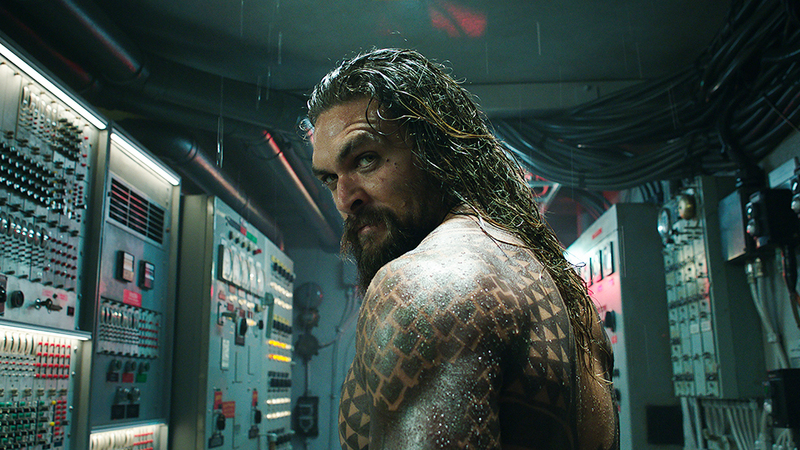 Aquaman was a great film on par with anything Marvel released last year and I can’t wait for the sequel. Well done James Wan. Full disclosure: I only made it about half-way through Super Troopers 2 so I don’t know if the movie got any better. The truth is I don’t care because the movie was so awful I had no interest in finding out if it got better or not. Painfully unfunny and chock full of Canada jokes that fail spectacularly, Jay Chandrasekhar’s followup to the 2002 comedy classic is sixteen years too late. No amount of marijuana could have made this film in any way, shape, or form, funny or enjoyable. What a waste. 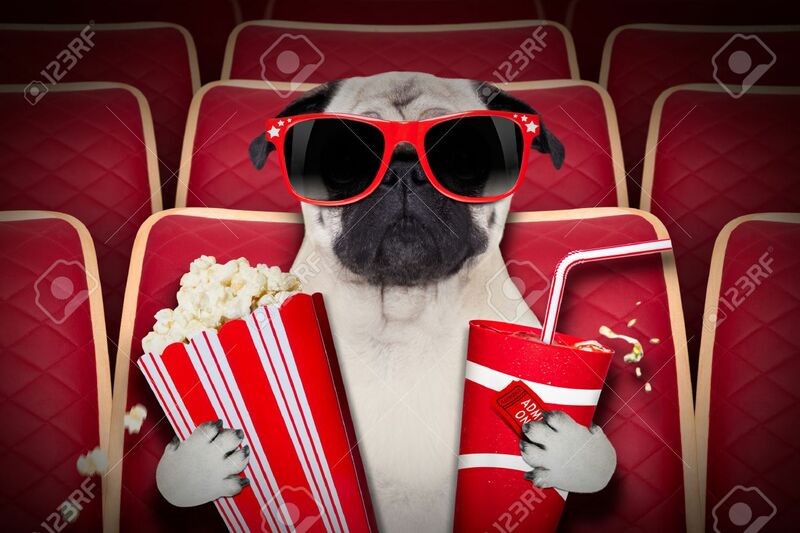 AND NOW…for my top movies of 2018!!! There are certain movies that possess such a unique atmosphere to them that you can’t shake them from your consciousness. With Mandy, director Panos Cosmatos creates one of those films. There’s so much to like about this film: the brilliant use of color especially red and black, the otherworldly, ethereal score from the late Johan Johannsson, the preternatural quality of the Shadow Mountain setting-it elevates what is ostensibly a simple revenge tale into something so much more. This is balls-out, brazen, unapologetic filmmaking that unfortunately is severely lacking in today’s cinema. 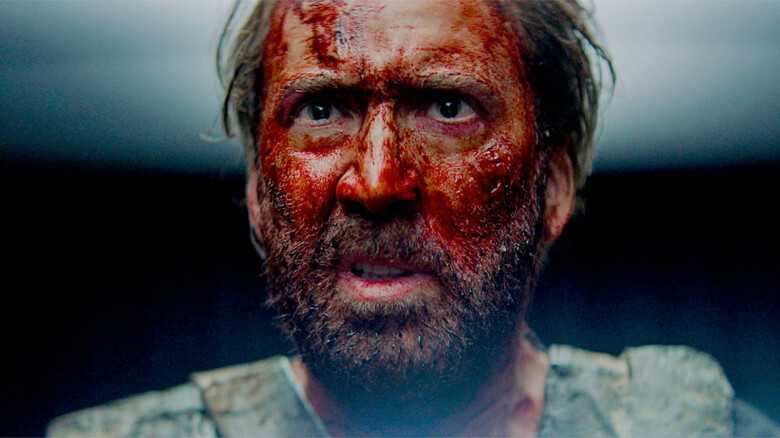 This film is peak Nic Cage at his Nic Cageiest. And I guarantee you it’s the only film from 2018 to have a chainsaw fight. What an insane cinematic experience this movie was. More please Mr. Cosmatos. This was a film I had zero interest in seeing…until I saw the trailer. Then I remembered that Bradley Cooper is amazing and Lady Gaga is one of the best singers of our generation. Like many, I was concerned about her acting talents. Sure she’d done an admirable job on American Horror Story: Hotel, but this was a major motion picture, helmed by one of the top talents in the business. I shouldn’t have been worried. 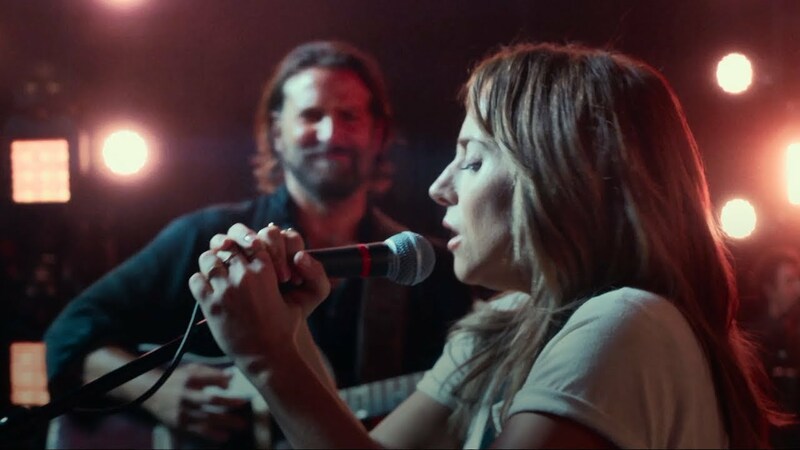 Gaga delivers a power-house performance as Ally, a nightclub singer who gets her big break when she’s discovered by famous country singer Jackson Maine (Bradley Cooper). A Star Is Born may be Cooper’s most gut-wrenching and nuanced performance to date. The chemistry between him and Lady Gaga is among the best in cinematic history. It’s a film that’s well deserving of all the accolades it’s receiving. Amazing to think this is the fourth time this film has been made. There’s a reason I wait until almost the end of January (sometimes longer) to do my 2018 movie year in review. Strange as this may sound, I don’t get to see every movie put out in a given year. I’ve got a full-time job, a wife, a son, and a fixed income. That January buffer gives me a chance to catch up on some gems–like this one. Director Felix Groengingen gave audiences a real treat with 2018’s Beautiful Boy. Based on separate memoirs from Nic Sheff and his father David, Beautiful Boy is one of the most visceral, honest, and emotional examinations of addiction I’ve ever seen. Timothee Chalamet owns this role from start to finish. Even though I couldn’t stand Call Me By Your Name, there’s no doubt he’s a true talent and I can’t wait to see what he does next. After the success of 2015’s Creed it was inevitable that audiences would get a sequel. While some may have questioned the logic in bringing back Ivan Drago and his son Viktor, I don’t think the franchise could have gone in any other direction. Whoever would have guessed that director Steven Caple Jr. would deliver a serious sequel to Rocky IV…and have it work? While Stallone is once again great as Rocky Balboa, a lion’s share of the credit goes to Dolph Lundgren as Ivan Drago. Whereas before Drago comes off as a cartoon villain, Lundgren is able to instill him with pathos and depth this time around. Florian Munteanu also serves as a physically imposing opponent for Adonis. Adonis is now firmly Michael B. Jordan’s vehicle, and I’m completely comfortable with a Creed movie that doesn’t have Stallone in it. 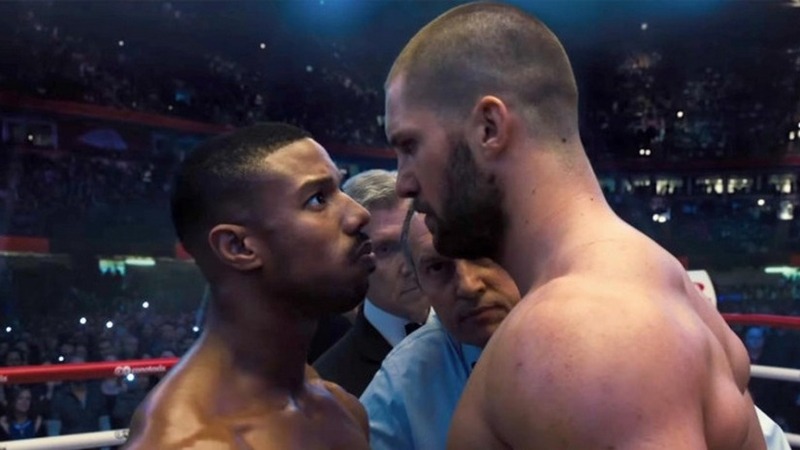 Creed II was one of the best times I had at the movies in 2018 by far. It baffles me that we had to wait five years for director Steve McQueen’s followup to the Academy Award winning 12 Years A Slave, yet ultimately it was well worth the wait. 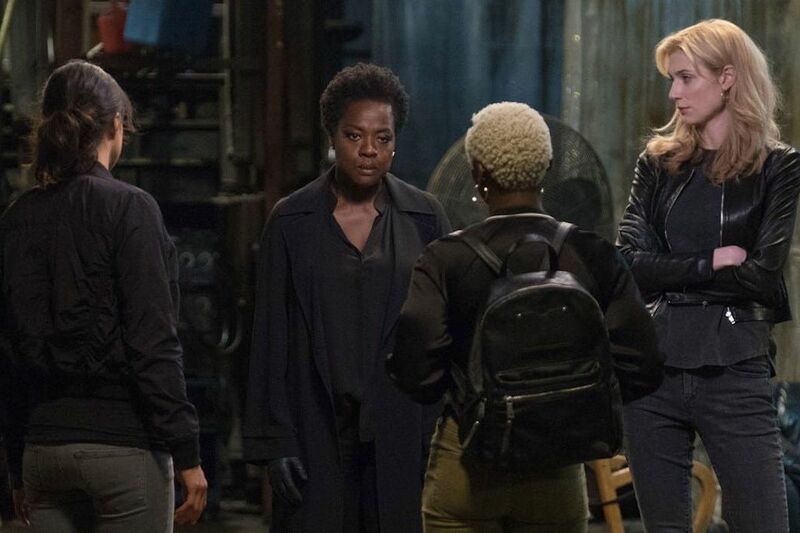 With Widows, McQueen crafts a slick, stylistic heist film sporting powerful performances from Viola Davis and Elizabeth Debicki. Yet this if more than just Heat with women as some critics have come to think of it. There’s great social commentary on legacy, fathers and sons, female identity, financial inequality, and political intrigue. Overall though, this is a just a damn good movie that didn’t garner nearly the attention it deserved. A Quiet Place was one of those movies that absolutely lived up to the hype. The screenplay was wholly original in a genre that too often resorts to the “same old same old” method for horror. It contains some stunning performances particularly from Emily Blunt and Millicent Simmonds. 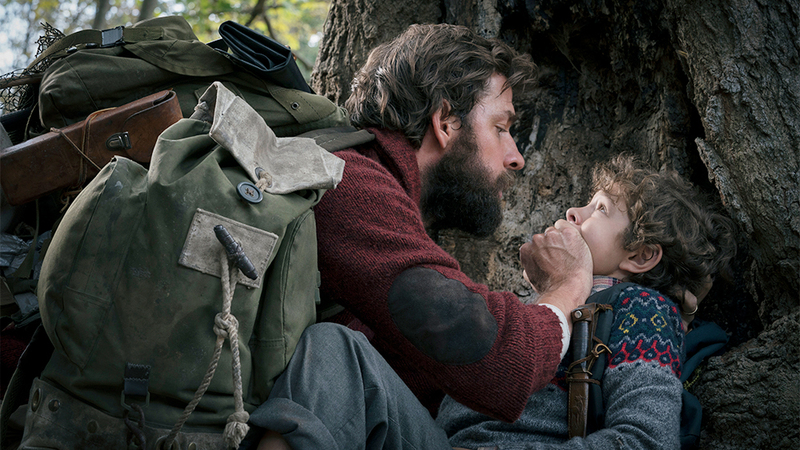 While this is only the third film John Krasinski has directed, he really comes into his own with A Quiet Place and proves he’s more than adept behind the camera. This movie was so much more than a simple genre exercise about creatures who have wiped out almost all of humanity. It’s an excellent commentary on parenthood and how parents can’t protect their children from all the dangers of the world, despite how hard they try. For the majority of 2018, director Leigh Whannell’s trippy man/machine science fiction film was my number one film of the year. Beautifully choreographed with a compelling story and a fantastic lead performance from Logan Marshall-Green, Upgrade feels like a 21st century Paul Verhoeven film. Indeed, Upgrade shares the DNA of Verhoeven’s classic Robocop but is a unique film all its own. Most impressive to me was the fact that the movie was made on the cheap ($5 million budget) but looks like a $100 million picture. And the ending blew me away. What a damn good film and yet another success for Blumhouse. The more I think about it, the more I think Hereditary might be the scariest movie I’ve ever seen. Yet to call this film merely a genre flick is a great disservice to the movie as a whole. Hereditary is the kind of elevated horror in the same vein as The Exorcist, Rosemary’s Baby, and The Omen. Ari Aster’s brilliant film represents a scathing meditation on grief and its effect on the grieving. For the first hour or so nothing particularly scary happens yet you can feel the dread and the tension rising with each passing scene. When the supernatural elements kick in they come fast and hard. Toni Colette meanwhile delivers the best performance of her career. I was riveted every time she was on screen. One thing’s for sure, I’ll never hear a tongue click and feel quite the same way anymore. 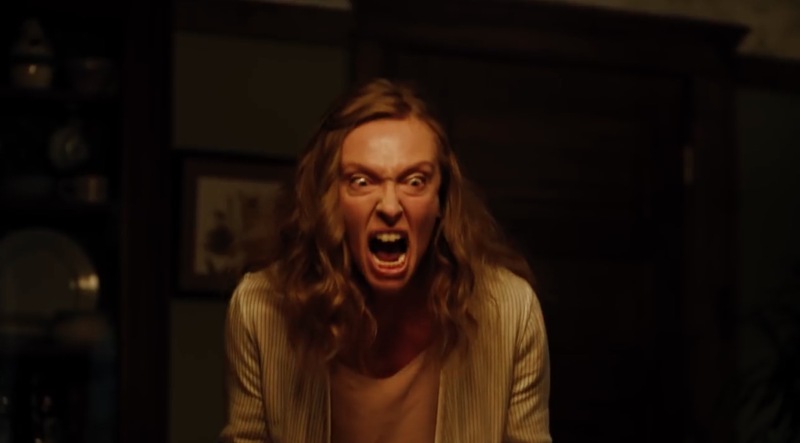 Hereditary is a horror masterpiece. Director Spike Lee works best when he’s pissed off. Do The Right Thing, Malcolm X, and 25th Hour are all films that in some way were motivated by real life experiences. BlacKkKlansman is Lee’s anger at the increasing rise and legitimization of white supremacy in our modern culture. Although BlacKkKlansman wears its political and racial overtones firmly on its sleeve, it also ostensibly tells the story of Ron Stallworth, the first black police officer in Colorado Springs history who helped infiltrate a local branch of the KKK. This film is thoroughly entertaining from start to finish while also managing to have an important message that’s still relevant today. 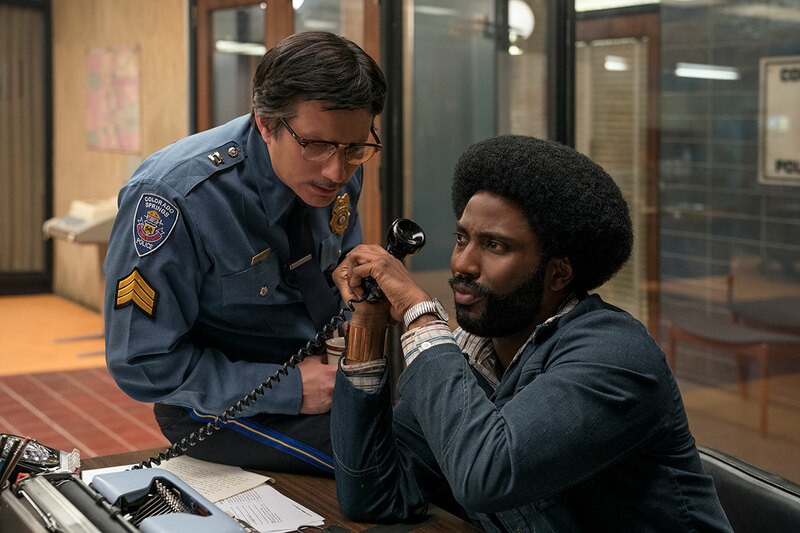 John David Washington shines in the leading role but it’s Adam Driver who really succeeds as Flip, Stallworth’s Jewish partner who goes undercover in the KKK. Spike Lee’s at the top of his game here and Lee’s latest is his best film in years, maybe ever. First Reformed is a film that I normally wouldn’t bother with. On the outside it appeared to be a rather pretentious piece of melodrama from a writer and director (Paul Schrader) who’s best days were behind him. But you never really know when someone is going to deliver their masterpiece late in life. Such was the case here as Schrader’s elegy on faith, mortality, and the environment proves to be a profound piece of cinema. It’s a film that stuck with me for days afterward and Ethan Hawke’s performance is the best of his career. It’s a film that asks difficult questions that do not possess easy answers. I thoroughly loved this movie. Another film that I didn’t get to see until this past month, Alex Garland’s movie is a science fiction masterpiece. I was entranced from the opening scene to the chilling final moments. Garland creates a visual spectacle with “The Shimmer” that manages to be simultaneously beautiful and eerie. There’s a vague uneasiness that permeates the entire film. Like any great piece of science fiction it’s a film that posits the deeper questions: What does it mean to be human? Do we ever really know the people we love? Can we trust our own memories? The virtually all-female cast delivers powerhouse performances across the board, particularly Natalie Portman and Gina Rodriguez. There are so many iconic and memorable images from this movie, yet the totality of those images still results in a cohesive, harrowing, entertaining, and thought-provoking film. Well that’s it for 2018. Here’s hoping the slate of films on deck in 2019 are even better! 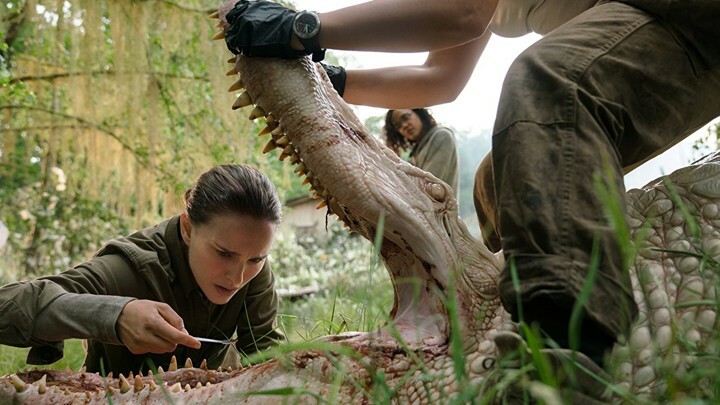 I really, really need to re-watch Annihilation. I think I was kind of drunk when I saw it, so I don’t remember too much, but I remember it being super trippy and very good. Great post!